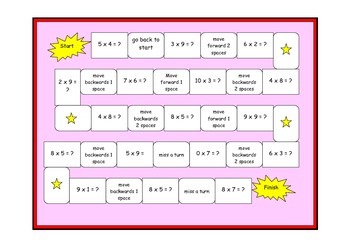 A fun, bright and exciting board game to consolidate the times tables. Children can play with friends independently or with teacher support. A whole class or group game.